Monday, the Senate Environment and Energy Committee will focus on a package of energy bills which also have environmental implications. While several bills such as RGGI have been around for years, there are also new bills like the zero emission credit. The Assembly Environment Committee is also meeting. 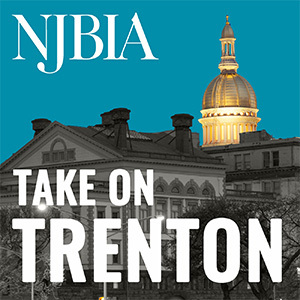 NJBIA will be testifying in both committees and we welcome any feedback from our members in advance. Please email Sara with any comments. S-772 (Smith, B) – Requires electric public utilities to enter into long-term contracts for certain forms of Class I renewable energy. S-3029 (Smith, B / Bateman) – Establishes “Volkswagen Settlement Utilization Fund for Motor Vehicle Emissions Reduction and Air Pollution Control”; directs NJ Department of Environmental Protection to use moneys in fund to establish and implement certain air pollution control programs. S-3059 (Sweeney / Smith, B) – Requires state’s full participation in Regional Greenhouse Gas Initiative. S-3060 (Smith, B / Bateman) – Requires municipalities, public utilities, and state to use LED technology in certain street lights. S-3061 (Bateman / Smith, B) – Requires the NJ Board of Public Utilities (BPU) to conduct a study concerning zero emission credits. S-3062 (Smith, B / Bateman) – Allows 50 percent credit against societal benefits charge to electric or gas public utility customers who install and maintain publicly available zero emission vehicle charging stations. S-3063 (Greenstein / Bateman) – Allows 50 percent credit against societal benefits charge to local governments that utilize traffic signals that use light emitting diode technology. S-3064 (Smith, B / Thompson) – Requires BPU to conduct energy storage analysis. S-3065 (Smith, B / Bateman) – Provides gross income tax credit for costs to purchase and install smart thermostats. S-3066 (Sarlo / Bateman) – Requires installation of smart thermostats in all new residential construction. SR-96 (Smith, B / Bateman) – Urges Federal Energy Regulatory Commission to impose cost caps on electric transmission projects. SR-110 (Smith, B / Greenstein) – Urges BPU to adopt goal to equip 500,000 homes with energy-saving smart thermostats by 2023. The Assembly Environment Committee is also meeting on Monday and will consider legislation on public access and water infrastructure. A-4092 (Eustace) – Provides for protection of public’s rights under public trust doctrine. A-4569 (Eustace / Karabinchak / McKeon) – The “Water Quality Accountability Act”; imposes certain testing, reporting, management, and infrastructure investment requirements on water purveyors. Filed Under: Energy Resources, Environment, Issue Reports Tagged With: Air pollution control programs, Energy, Energy storage analysis, Environment, Public trust doctrine, Regional Greenhouse Gas Initiative, Renewable energy, Smart Thermostats, Societal benefits charge, Water Quality Accountability Act, Zero emission credits., Zero emission vehicle charging stations.